Today we’d like to introduce you to John Piper. In my early years, I attended Berklee College of Music in Boston and studied vibraphone with the legendary Gary Burton and drum set with Gary Chafee and Alan Dawson. After college, I toured with many road bands throughout the U.S. playing drums and vibes in hotels and lounges. 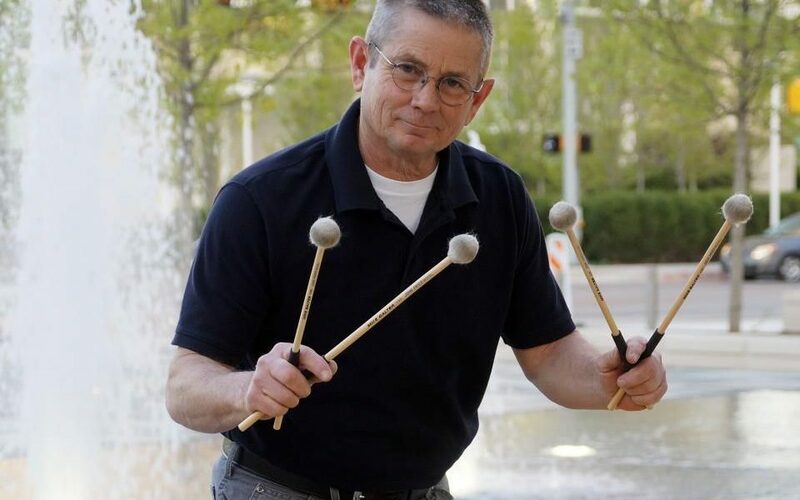 Working as only a vibraphonist was nearly impossible, so I usually had to play drums. I made a lot of contacts on the road and one that led to a drummer/music director gig for a comedy variety show in Reno, Nevada and then in Las Vegas. 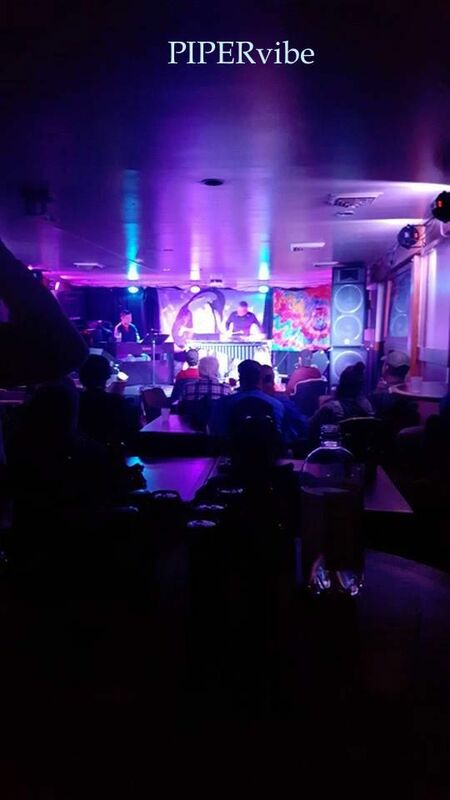 The show’s keyboard player on the Vegas gig couldn’t play the music so I replaced him with me on vibes and hired my best friend to play bass and the husband of one of the show’s dancer’s to play drums. We got a lot of great reviews while in Las Vegas which helped a lot. I also got to write music and rehearse the band for the Merv Griffen Show twice. Linda Carter was one of the guests. She came out of her dressing room for rehearsal wearing those giant hair rollers/curlers and she was still absolutely gorgeous. Following the Vegas gig, I returned to my hometown of Springfield, Illinois where I met my wife, and moved to Los Angeles. Again, I played drums in a cover band six nights per week. I did this for a while and then decided it was time to commit to playing the vibraphone. I quit the cover band and set up business with cards and a solo vibe cassette tape Lp called “Werk 1” which I sold while playing vibes in the streets of Pasadena, Hollywood and L.A., California. Being a Street Musician was a fantastic experience and excellent advertisement and I started getting a lot of gigs as a solo vibraphonist. I played weddings and other “general business” type of gigs for many of Hollywood’s rich and famous like Tom Selleck and Nancy Reagan. I performed for the very first “Just Say No To Drugs” campaign at the Beverly Hilton that Nancy Reagan hosted. The Hollywood Arts Council started hiring me to perform at their functions and I got heard by a lot of very famous people. One day, Mark Lindsay (singer from Paul Revere and the Raiders) dropped a tip into my tip jar while playing along Colorado Blvd. in Pasadena. He introduced himself and said that he really liked my music. We became friends and he flew me and my vibraphone to a forest that I think was in Idaho to play for his outdoor wedding. Later, I played some minor vibe parts on his last Lp in Memphis. You never know who’s listening when you’re a street performer. Playing in the streets, tore up my instrument and I was constantly rebuilding it. I came up with a lot of improvements and in 1996, I designed my own vibraphone. Ludwig/Musser purchased the licensing from me to manufactured and named it the Piper Vibraphone. I began to receive international attention as a player. I was doing very well and now, I was able to play vibraphone as my primary instrument. I recorded my solo Vibe CD “Just A Step Away” and started performing all over as a clinician and guest artist for Colleges and Universities. I also wrote a very technical music book called, “The Shapes and Patterns of Music – Volume 1 and Volume 2” and Nine solo vibraphone pieces published by Studio 4 Music. Following a number of what I consider to be successful years, I started getting restless and wanted to do something totally different. I thought I’d try the fire service. 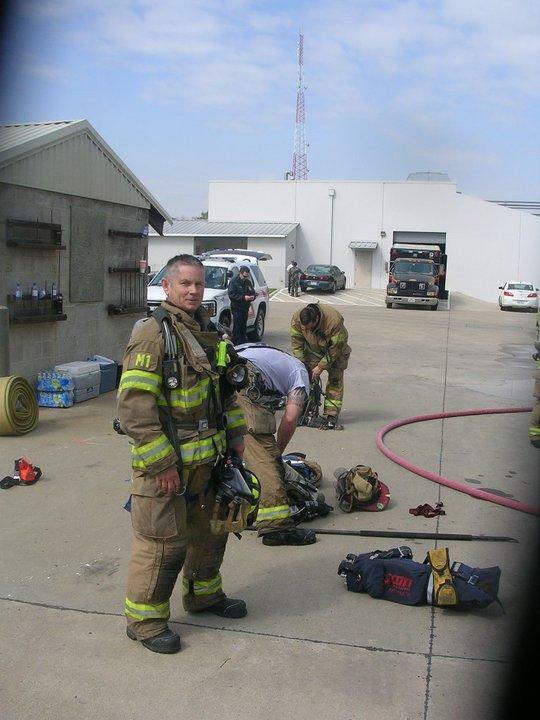 I trained constantly and got into the best shape possible and put myself through the fire academy. I did very well at it and got hired full-time very quickly. I then added Paramedic to my resume and Ropes Rescue and many other specialized rescue certifications. My second year working as a full-time professional firefighter/paramedic I receive the “Firefighter of the Year” award. I considered this the perfect balance; music and fire. I was working as a firefighter and playing music for myself on my days off. After 7 years with the Little Elm Fire Department in the Dallas Metroplex, I again became restless and wanted to try something different. People were talking about bucket lists. I had emptied my bucket skydiving, becoming a firefighter, obtaining three world patents for my vibraphone and playing music for a living so I started thinking of things I could put in my bucket to challenge myself. Of course, being an astronaut would be great but I knew that was out of my reach and completely unrealistic so I went to the next best thing – ANTARCTICA! I figured that with all that science and research in Antarctica, they must need paramedics. So, I did a job search and sure enough – Firefighter/paramedic wanted in McMurdo Station, Antarctica. I applied, and after passing all the requirements, I gave notice to my department and joined Antarctic Fire Department for a five-month deployment. It was an excellent experience but I was without a vibraphone for the first time. I returned home to Corinth, Texas and built another vibraphone to take down to the ice for my next deployment. I’m now finishing up my third 9-month deployment. 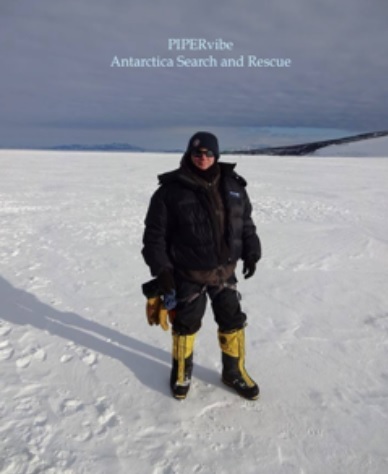 I’m a Lieutenant with the Antarctic Fire Department and paramedic with the Antarctic Search and Rescue and JSART the Joint U.S. and New Zealand Search And Rescue Team and I deploy 8 months out of the year there. I’m able to practice a lot and write a lot of music while in Antarctica. It’s a perfect balance – Music, Fire, and Ice. With SAR, I go to places no one else gets to see. We train every week with high angle and low angle ropes, going into and learning to rescue people from crevasses and learning to navigate in zero visibility during “Con 1”ice storms in – 50 to 70-degree conditions. It’s an amazing adventure that adds volumes of expressiveness to my music and stories. I have plenty of down time while on the ice, so I get to spend it writing and practicing. It’s a perfect balance again, Music, Fire, and Ice. I think the biggest challenge for any artist is having the opportunity to play for people and getting paid enough to stay in business. When you choose an unusual instrument, it becomes even more difficult. No band needs a vibraphone player except a vibraphonist’s band. So I have to run my own bands and be very creative in obtaining places to play. Most artists love to perform but it’s so difficult to find a venue. It’s even more difficult in today’s world. Every artist has to create their own voice and place in the world for their art. That’s the hardest thing. Please tell us about PIPERvibe: Music, Fire and Ice. I’m getting restless again and I have a lot more to say musically and I have a lot of stories to tell. I want to perform as much as possible when I’m not on the ice and I’m preparing to return to music full time again. I’ve finished writing another technical music book I started my first deployment titled “The Shapes and Patterns of Music: Prologue” and I’m working on my next solo vibraphone CD/DVD. I’ve designed a couple of new and improved PIPERvibes; one that is the first vibraphone ever to reach Antarctica that I call the Antarctic PIPERvibe and one I keep back in the US that I will tour with. I’m ready to try something different again. I have many stories to tell and I love telling them. Venues for music artists are few and I have a lot of music for me to play. I’m always looking for new venues and opportunities to play for people. 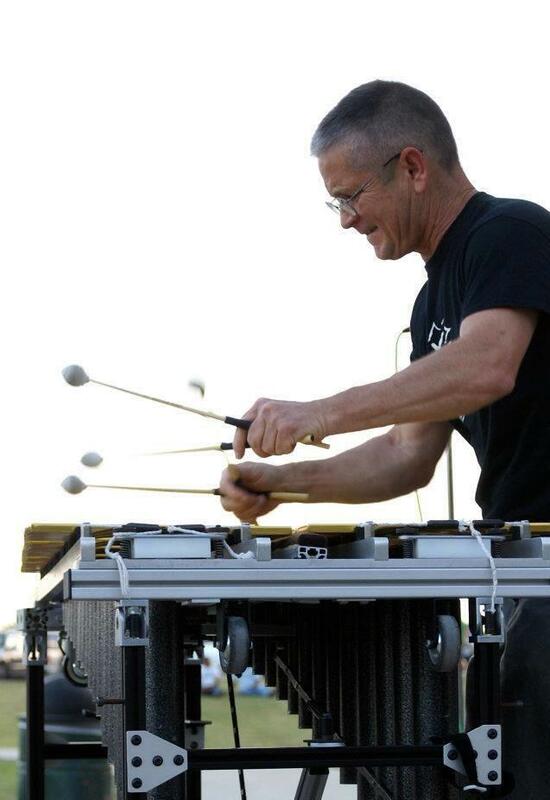 The challenges of presenting solo vibraphone are many and the biggest is just keeping it interesting. I’m getting more and more restless again and I want to try something totally different. I’d like to put together a “Black Box Theater” performance that features an old man (me) sitting at a kitchen table on stage talking to an empty chair (the empty chair may be his old departed friend or just an imaginary friend or perhaps the old man (me) is voicing his thoughts out loud. The man is telling his story and philosophies and parting wisdom. The audience is a “fly on the wall” and the old man doesn’t know the audience is there. The single light is on the old man telling his story and as he gets to key moments in his story, he stands up and walks to stage left where there is a vibraphone and he performs a piece that musically expresses the story he just told. The old man then returns to the table to continue the stories. Toward the end of the performance, the house lights come on and the old man acknowledges the audience. He asks, “how long have you been here?” At this point, the audience knows enough about the Antarctic adventures and firefighting and music and instrument designing that they will have questions. So, the final act includes the audience joining in on the kitchen table conversation. I envision about six “acts” or stories if you will that are separated by vibraphone pieces. There could also be other musicians added in some of the performances for more enhancements. I think it would be a very entertaining way to play the pieces and it would give the audience something to look for in the music. So, I’m looking for a partner to help coach me, and help me write it and then be my eye in the audience. I guess I need a producer/director. For now, I’m playing any gigs I can line up and still be thinking of how to produce a Black Box Theater presentation of Music, Fire, and Ice.